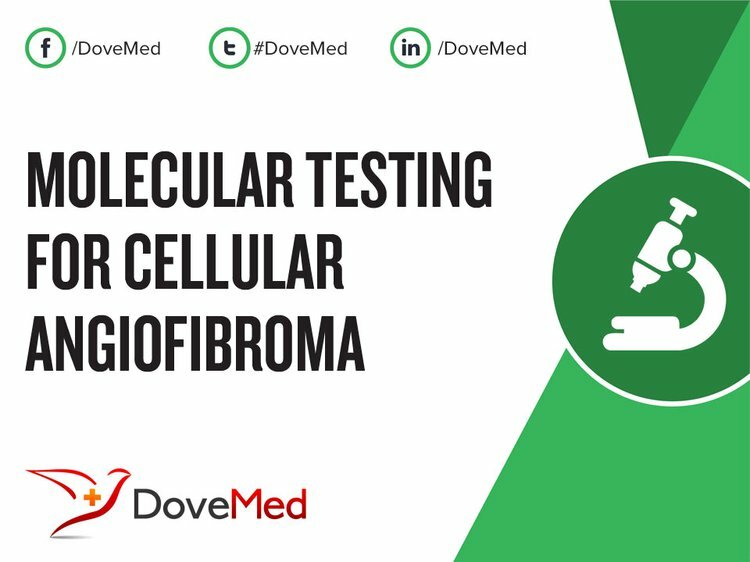 Molecular Testing for Cellular Angiofibroma is a genetic test that is helpful in aiding a diagnosis of cellular angiofibroma. 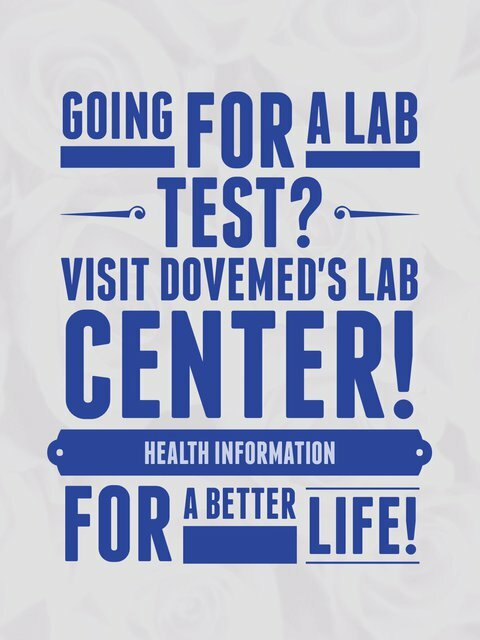 The methodology used for cellular angiofibroma may vary from one laboratory to another. What are the Clinical Indications for performing the Molecular Testing for Cellular Angiofibroma Test? How is the Specimen Collected for Molecular Testing for Cellular Angiofibroma? What is the Significance of the Molecular Testing for Cellular Angiofibroma Result? Flucke, U., Van Krieken, J. H. J., & Mentzel, T. (2011). Cellular angiofibroma: analysis of 25 cases emphasizing its relationship to spindle cell lipoma and mammary-type myofibroblastoma. Modern Pathology, 24(1), 82-89. Chen, E., & Fletcher, C. D. (2010). Cellular angiofibroma with atypia or sarcomatous transformation: clinicopathologic analysis of 13 cases. The American journal of surgical pathology, 34(5), 707-714. Mariño-Enríquez, A., & Fletcher, C. D. (2012). Angiofibroma of soft tissue: clinicopathologic characterization of a distinctive benign fibrovascular neoplasm in a series of 37 cases. The American journal of surgical pathology, 36(4), 500-508. Magro, G., Righi, A., Casorzo, L., Antonietta, T., Salvatorelli, L., Kacerovská, D., ... & Michal, M. (2012). Mammary and vaginal myofibroblastomas are genetically related lesions: fluorescence in situ hybridization analysis shows deletion of 13q14 region. Human pathology, 43(11), 1887-1893. Cheah, A. L., Billings, S. D., Goldblum, J. R., Carver, P., Tanas, M. Z., & Rubin, B. P. (2014). STAT6 rabbit monoclonal antibody is a robust diagnostic tool for the distinction of solitary fibrous tumour from its mimics. Pathology, 46(5), 389-395. Edgar, M. A., Lauer, S. R., Bridge, J. A., & Rizzo, M. (2013). Soft tissue angiofibroma: report of 2 cases of a recently described tumor. Human pathology, 44(3), 438-441. Mandato, V. D., Santagni, S., Cavazza, A., Aguzzoli, L., Abrate, M., & La Sala, G. B. (2015). Cellular angiofibroma in women: a review of the literature. Diagnostic pathology, 10(1), 114. Doyle, L. A., Vivero, M., Fletcher, C. D., Mertens, F., & Hornick, J. L. (2014). Nuclear expression of STAT6 distinguishes solitary fibrous tumor from histologic mimics. Modern Pathology, 27(3), 390-395. Howitt, B. E., & Fletcher, C. D. (2016). Mammary-type myofibroblastoma: clinicopathologic characterization in a series of 143 cases. The American journal of surgical pathology, 40(3), 361-367. Bokhari, K., Manikandan, L., Mohammad, A., Shahul, M., Bagi, M. A., & Kotan, Z. (2012). Cellular angiofibroma of the buccal mucosa: A rare case report and review of literature. International Journal of Experimental Dental Science, 1(1), 23-25.